At Vida Footy, we offer various programs to help students and coaches enjoy the holistic learning football has to offer. Each player will achieve a greater understating of the game by having an opportunity to get a high volume of quality education. These programs are designed to add value to your current football experiences and elevate the player to another level. It is a great opportunity to get involved in a camps with a different range of players with various experience, in a learning environment. From all our experiences of coaching junior & elite players in various sports in Australia & overseas, we have seen that it’s the ones who put in the most, in the right environment, are the ones who meet their goals. 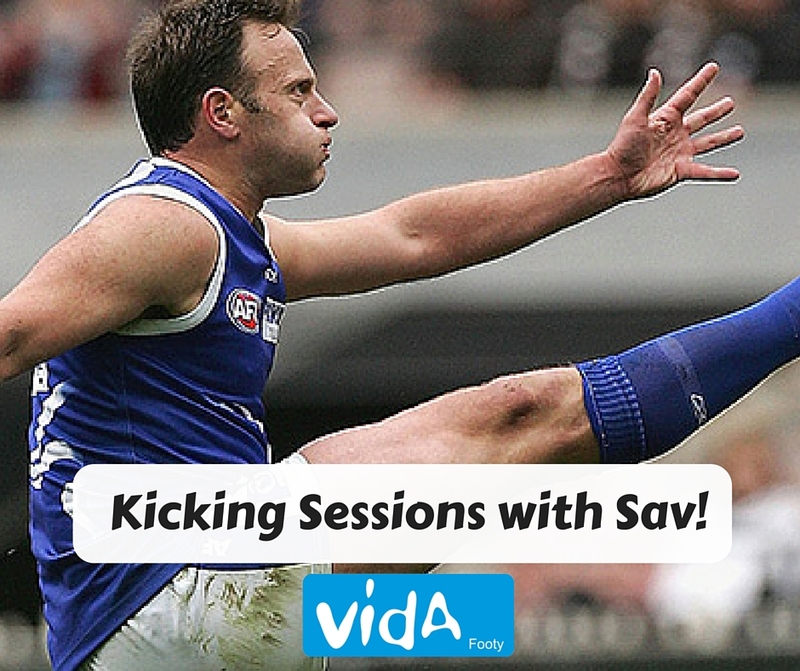 Vida Footy offers specialised Kicking and Skills Sessions with professional, trained coaches, headed by Saverio Rocca. 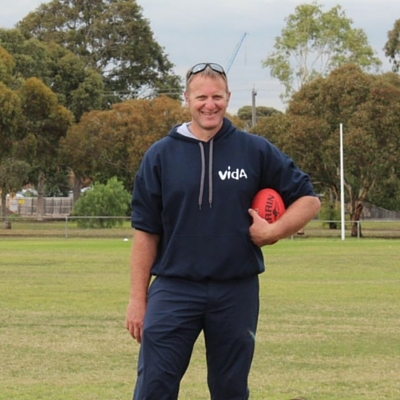 Big Sav has come on board to help in our vision of developing junior footy players to the best of their abilities. Sav has plenty of experience in his playing days, representing Collingwood and North Melbourne in the AFL, before making a successful career in the NFL with the Philadelphia Eagles and the Washington Redskins. Sav has also done coaching work with the Carlton Football Club and work with players including Levi Casboult. Sav has previously made some guest appearances at some Vida Footy Camps too, but will now be a major part of our development teams. 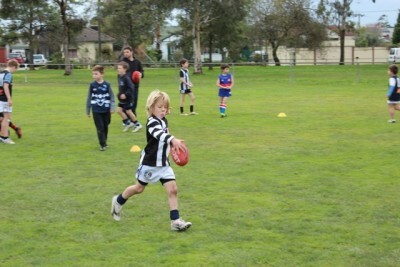 Sav will go through the fundamentals of all the skills in footy, covering all aspects of the game. Using video analysis as one of the skill development tools, Sav will create a Personal Player Profile (PPI) to track the improvement and identify key issues with each player. Coaches working along side Sav will also employ the same methods when teaching and developing the skills. All sessions run by Sav and the Vida Coaching Team will focus on getting the most out of each child’s ability. All sessions are individually tailored to each player. Therefore, if your child has just started their development Sav and the team will modify the program to suit. Additionally, if your child is showing elite skill sets, Sav and the Vida team can take them to the next level. When will these sessions start? Kicking sessions have already started! Currently we are running sessions throughout the week at various locations. Looking into term 2017, we will be expanding days and times. If you are interested in doing a kicking session this term or next, please fill out of the form below and we will start organising it for you! 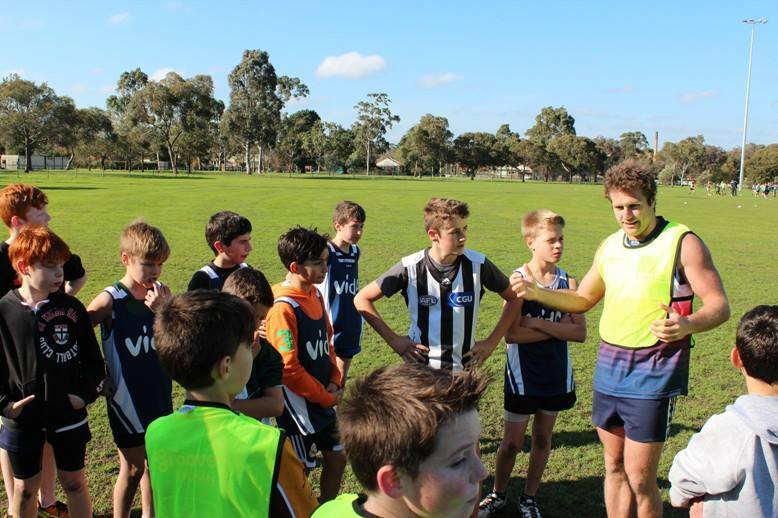 The Tackers program is an initiative put together to developing young players and fast track their skill development. Through years of experience in developing young athletes, we have found that the earlier you start working and educating players in key development areas, the quicker correct long term habits are formed. These positive habits are created through repetitive skill development in the key areas of technique, tactics, mental and physical training. The introduction of video analysis aids the players ability to understand and implement these key learning areas, as kids learn faster through visual feedback. There will be two introductory programs run within Tackers: Tackers, which will focus on skill development, and Super Tackers, which is more advance. 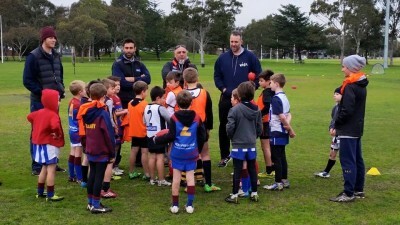 The key points within the Tackers programs are: Kicking Skills, Marking, Hand balling, Decision making, Tackling Technique Ground skills, Ball handling and Movement. 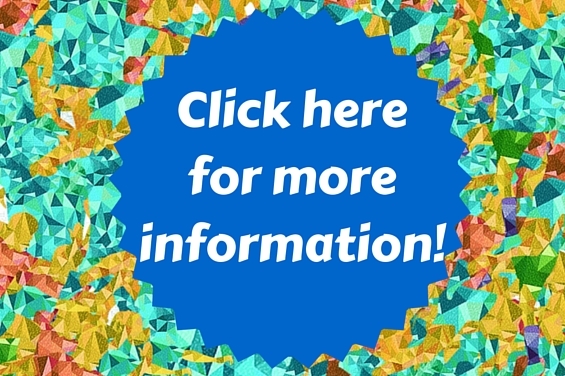 CLICK HERE TO FIND OUT WHEN THE NEXT EVENT IS BEING RUN! Vida Footy has and will continue to put together specific time & theme orientated programs for a wide rage of age group’s, which will enable the individual to get a “head start” with their development. This program is a big shift in footy community mindset, from the normality of Club/School training, matches and then the season ends. Click here for more information about the next event. The Head Start program will run as a series of training blocks; pre-season, during season or in the off season, to continue the child’s developmental pathway. Each Head Start program will be tailored to a theme, an age group, or a time of the year. Throughout years of being part of junior sporting development, Vida is well positioned to provide coaches, clubs, and players with the tools for coaching, player and club development. Vida has a proven record in player and coach development for more than a decade. Give your club the plan, processes, and resources to help grow the game, the player, the coach, and your club. Vida Footy will enable you to log in to our coach development website to view lesson plans, video tutorials, video activities and so much more. We also offer master class days throughout the footy season to continually support all coaches and assistant coaches. For all the benefits of joining us at Vida Footy, refer to the diagram below, or contact us at any time. Click here to find out more about getting your club to the next level. 1 Master Class at your Club or School tailored to your needs (two & a half hour session). A copy of the presentation will be made available for coaches to refer to post the master class. Online access to our member portal (single club share log in) which includes over 200 online lesson plans (growing weekly) + Over 250 online training videos (growing weekly) + Online support and tutorials + Weekly email for suggested training themes + Weekly updates to lesson plans and videos + Fitness plans for different age groups + Topical articles and blogs + How-to videos + more. 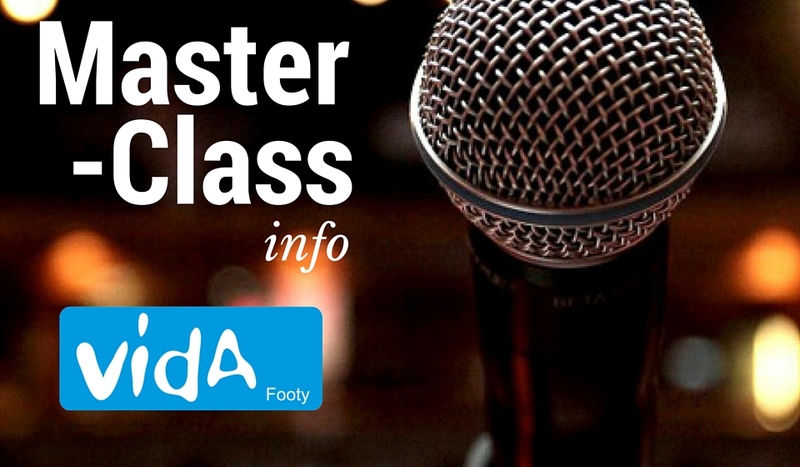 1 Master Class at your Club or School tailored to your needs (three-hour session). A copy of the presentation will be made available for coaches to refer to post the master class. 1 Club Coaching Manuel with age & skill-based activities and progressions. The manual also links to our online portal for further ideas and instruction. The club or school will also receive a pdf shareable version of the manual. 3 x Master Class at your Club or School tailored to your needs (two & a half hour sessions). A copy of the presentation will be made available for coaches to refer to post the master class. Personalised Club accountability templates for coach reviews and development. What are Master Class Coach Development Days? Master Class events will take place throughout the year in a high-performance environment. They are coach development sessions lead by industry experts and will cover a range of topics to further educate coaches and helpers in providing the best possible skill and player development for their team. All coaches at your club or scholl are invited to Master Classes as well as assistant coaches or helpers that want to further their coaching knowledge as well. Topics such as communication, coach development, skill acquisition and explanation, movement, and coaching philosophies are all covered as well as guest speakers and plenty more. These forums are designed to help coaches engage in educational ways of thinking with like minded coaches. All sessions will be recorded and placed on our member platform, so you can watch them back later or not miss out on the presentation if you are unable to attend.